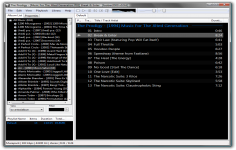 Foobar2000 is a great solution for audio playing supporting a wide range of formats. 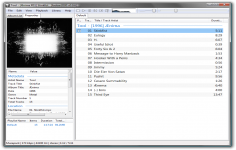 Foobar2000 is an audio player that supports many popular audio formats. Its interface is very simple with only the presentation of a play list while the progress bar and the controls can be only text characters. The software is very flexible and incorporates a variety of functions ranging from simple multi-standard playback (MP3, OGG, WMA, Flac, MusePack, etc.) to the audio compression through management of albums, writing WAVE, the crossfading, etc. 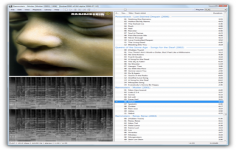 Foobar2000 is also one of the few MP3 players that incorporate a "gapless" powerful function to solve the problem of blank created by MP3 compression and management of playlists is exemplary (organization, search, sort . The application consumes very little memory and CPU, it offers a simple interface that includes only strictly necessary elements for reading.